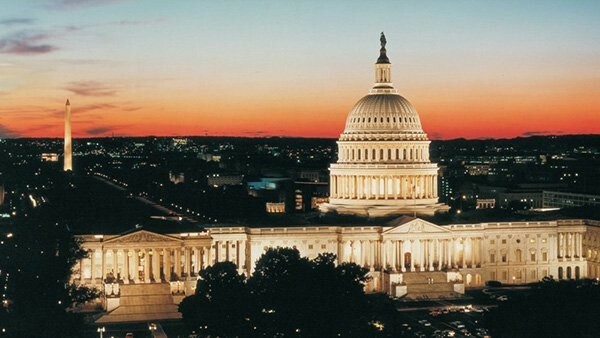 We would like to invite you to visit Loyola’s table at the LSAC Washington, DC Forum. The details are provided below. If you are able to attend the program, please feel free to introduce yourself and learn more about Loyola University Chicago School of Law. We will be happy to answer any questions you may have about our law school, the curriculum, the student population, the city of Chicago, specialty areas, etc., as well as questions about the admission process. Dean Emerita Nina Appel retires after 45 remarkable years at Loyola. Read more in Summer 2018 Loyola Law magazine. For the second year in a row, students in the School of Law’s Study Law Abroad program at Loyola’s John Felice Rome Center in Italy will have the extraordinary experience of learning from a justice of the Supreme Court of the United States. Justices who participate in the program choose the form of their involvement. Last summer, Justice Samuel Alito taught a two-week course in constitutional law as part of the program. 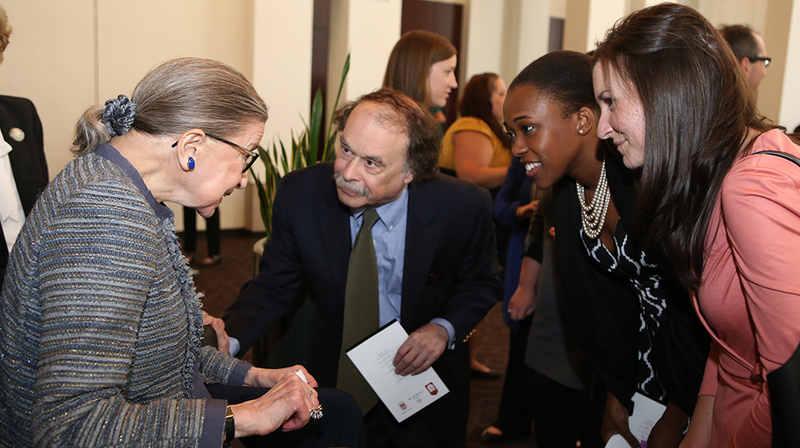 This summer, Justice Ruth Bader Ginsburg will give three lectures: “A Conversation with Justice Ruth Bader Ginsburg,” moderated by Judge Ann Williams of the 7th Circuit U.S. Court of Appeals; “Workways of the U.S. Supreme Court”; and “Highlights of the Major Cases of the 2017–18 Court Term.” She will also attend a faculty luncheon as well as a reception and banquet for students, faculty, and Rome Center administrators. Now in its 36th year, the Rome program introduces students to comparative and international law. Studying in Rome, the seat of the Italian government and the site of European Union offices, private law firms, banks, and corporations, acquaints students firsthand with the Italian legal system while providing a deeper understanding of American legal culture. Loyola’s Rome program also welcomed the late Justice Antonin Scalia as a guest lecturer in 2010 and 2015. Rae Hintlian is currently a 2L at Loyola, who intends to pursue a career in patent prosecution in San Diego or Denver. Patent prosecution is the process of writing and filing a patent application and pursuing protection for that patent application with the patent office. Rae attended Northern Arizona University and received her undergraduate degree in biology and a chemistry minor. During her work post-graduation with clinical research she was introduced to patent work, as related to drugs and pharmaceuticals. This sparked her interest in the legal field and a career in patent law. We recently had an opportunity to talk to Rae about her experiences in choosing law school, as well as her law school experience thus far. Rae started her search for law schools by looking at schools with developed patent programs, most of which had classes but not programs that were actually dedicated to patents. Loyola had a patent focus, and she knew that was where she wanted to be. At Loyola, there is a wealth of resources ranging from librarians who can guide you in the right direction, including one who was a partner at a major IP firm, and professors who can help you network and find mentors. Chicago is a hub for patent law. This location, combined with the resources that Rae values at Loyola, allows her to be centrally located and thriving in her field of study. During her time at Loyola, Rae has had many different IP opportunities in a range of settings, including law firms, as well as a physical rehab center. During her 1L summer Rae was able to work at the Shirley Ryan Ability Lab, which is a physical rehab center built at Northwestern University. The program is fairly new, starting in March 2017. They mostly center their work on patenting medical devices to help patients that have been in an accident, are disabled, or born with a medical condition in which they need assistance. Rae primarily worked with the patent prosecution department, alongside physicians to determine if their idea was patentable. She had the opportunity to write responses to actions from the US Patent and Trademark Office and perform patent searches. In addition, she even was able to do some compliance and regulatory work to gain exposure to other legal areas beyond patents. Currently, Rae is employed at Zilliac Law working with trademarks and copyrights, which exposes her to another side of intellectual property law. However, since her interest is in patent prosecution, she has secured a job for the summer at Cherskov, Flaynik & Gurda, LLC., a law firm that focuses on patent prosecution. Rae heard about Cherskov, Flaynik & Gurda, LLC. through a Loyola alum, and was able to connect with the firm by sending a cover letter, resume, and writing sample to them expressing her interest. Head of IP for North America at thyssenkrupp North America, Inc.
One day, as you diligently work through engineering design calculations, your manager puts a competitor’s product on your desk and says: “Our competitor’s have product X in the market and we need to make a similar product. Find out if they have a patent on this product, and if so, how can we design around it so we don’t infringe their patent.” If this scenario sounds familiar, your self-guided exploration of the merger of technology and law may have you contemplating a transition into the exciting world of intellectual property legal practice. 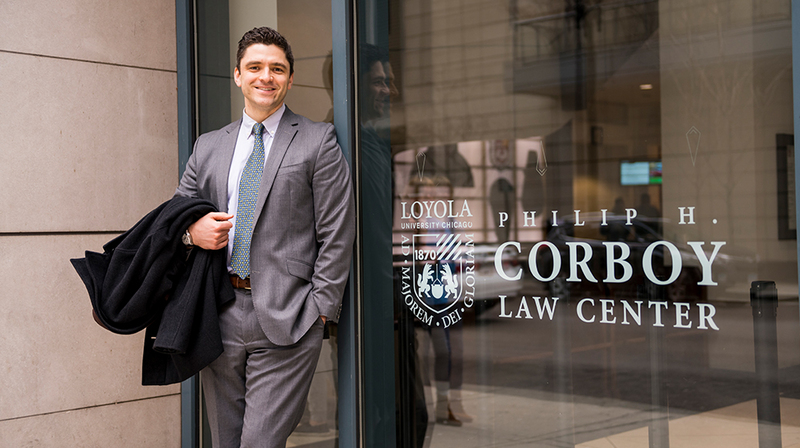 Loyola’s Alumni Spotlight is pleased to share an interview with William Cassin (’06) about his journey to Loyola University Chicago School of Law and beyond. 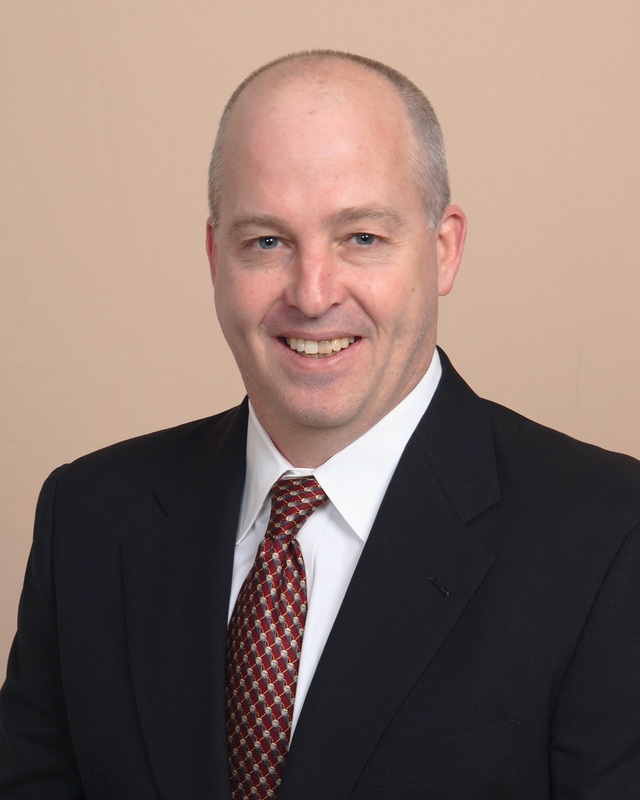 William Cassin is Head of IP for North America at thyssenkrupp North America, Inc., a $51.1 billion corporation with 158,000 employees in 79 countries. With headquarters in Essen, Germany, the company’s business operations include five areas: Components Technology, Elevator Technology, Industrial Solutions, Materials Services, and Steel Europe. 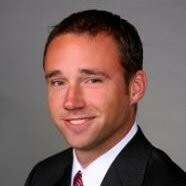 Mr. Cassin is in his fifth year with thyssenkrupp. Prior to going in-house, he worked as a Patent Attorney in the IP Practice Groups at two of Chicago’s largest general practice legal firms. What was your background before you went to Loyola? I have a BS in Mechanical Engineering from the University of Illinois at Urbana-Champaign. I worked as a product development engineer for a company that designed and manufactured network connectivity infrastructure solutions for eight years. My roles included fiber-optic prototype R&D, high-performance data transmission connector design, and end-to-end network system production. I was first exposed to patents by performing infringement analyses of competitor’s products and review of patent application claims. What initial steps did you take to understand patents? Provided the opportunity to review patents as a working engineer, I started by searching the web. What constituted claims, what did it mean to “infringe” a patent and how was that determined. I read everything I could find. I began a process of developing educational resources that I have continued over the years. These materials are now a valuable source of information I share with engineers in my current organization. They provide an introductory explanation of patents that I would have found useful when I was in that role. Was a law degree always part of your plan? Not at all. I knew a family friend who was a lawyer, but that was the full extent of it. My interest in pursuing a legal education started with reviewing patents as part of my engineering responsibilities. The more I learned about the nuances of patent law, and the more I helped my engineering colleagues design around competitor’s patents, the stronger my interest became. How did you choose Loyola? I selected the evening program and continued to work as an engineer. I knew I was interested in practicing patent law, and Loyola offered a very compelling intellectual property program in terms of the course offerings. In addition to classes on IP and Patents, I was able to take a class on Biotech/Pharmaceuticals. I would definitely recommend taking advantage of the broad catalog of options available. Additionally, I especially enjoyed the excellent opportunities Loyola offers in Appellate Advocacy and Pre-Trial Litigation. What was your experience working at large general practice firms? Thrilling. Despite the overall number of attorneys at the firm, the full-service IP practice group functioned as a tight knit team. The group consisted of twenty attorneys. I was able to work on a wide range of issues, including patent prosecution, pharmaceutical litigation, merger & acquisition deal work, cease and desist letters for infringement, and trademark clearance, procurement, and protection. With the ability to sample all areas, I was not required to function in a silo. I discovered that technical writing came very naturally. Inventor interviews were enjoyable and I was able to accurately convert the technical discussions into legal documents. How did the decision to take an in-house position come about? Quite unexpectedly. I was very happy in the firm environment. Although I had never sought out an in-house job, I was open to the possibility. A fellow classmate from law school, working as a legal recruiter, contacted me with a position she thought precisely matched my qualifications. The transition permitted additional scheduling flexibility for my family and reduced the number of late nights required. It was the right move at the point I was at in my career. Can you describe your current responsibilities? In many ways, I am busier now than I was before. thyssenkrupp is a large German-based multi-national conglomerate that is composed of over 400 separate companies internationally, and about another forty within the North American region alone. The volume and complexity of tasks corresponds with this massive scale. My group handles in-house patent and trademark prosecution, manages outside patent prosecution, conducts IP due diligence, drafts IP licensing and joint development agreements, provides litigation support, leads strategic IP decision making, and provides IP training to thyssenkrupp’s employees across the North American region. The work includes patent applications and office actions on technologies ranging from mining equipment to elevator systems and automobile steering columns. I am fortunate to come in contact with a broad base of technologies. In my role, I am called upon to wear two hats. I provide legal services as an attorney, but I am now additionally involved in delivering strategic business counsel. I am active in determining the path forward for the company’s IP portfolio, assessing risks, evaluating competitors, and protecting thyssenkrupp’s important assets. What are some of the unique aspects of working at a multi-national corporation? The exposure to German and Chinese patent application processes through our foreign colleagues has been a wonderful learning opportunity. For two weeks a year, the global intellectual property team gets together to understand the nuances of intellectual property law in different national jurisdictions, and to continue to try and improve our own internal processes in ways that will work across multiple countries. Just as important as the technical and structural differences, we gain insights into the different IP prosecution strategies, styles, and techniques commonly utilized by our foreign counterparts, and the reasons why each approach is employed. Any parting words of wisdom for IP orientated law students? IP and Patents are truly fun. You get the opportunity to be involved with the newest developments and inventions of your clients. And for technology companies, much of their value is derived from the IP they own, making the role of an IP attorney an important one, whether you will be helping to procure patents on new inventions or via acquisitions, enforcing your clients’ patent rights in litigation, or providing counseling on IP strategy and helping development teams minimize infringement risk in new products. Also, seek out what is new and different. If you get a chance to be around patents, make sure you take a close look. The same advice holds true in selecting courses. Take advantage of the possibilities. Get exposure to as much IP coursework as you can. It will help you start to realize what aspects of IP law truly interest you. Third-year student Ben Horwitz came to Loyola with dual interests in trial advocacy and public interest work—two areas in which he’s taken every opportunity to learn. In the classroom, in the clinic, and in competition, “Loyola has pushed me to develop valuable skills and varied experience in those areas,” he says. COURTROOM CHOPS: Horwitz holds a Philip H. Corboy Fellowship in Trial Advocacy—along with two other scholarships—and he and his team recently advanced from the Texas Young Lawyers Association Regional Mock Trial Competition to the National Competition. “Competing in mock trial competitions for Loyola my second and third years has been an immersive, challenging, and rewarding experience,” he says. LEARNING BY DOING: “Loyola’s Community Law Center has allowed me to represent minors as a guardian ad litem and begin to develop interviewing and negotiation skills,” Horwitz says. 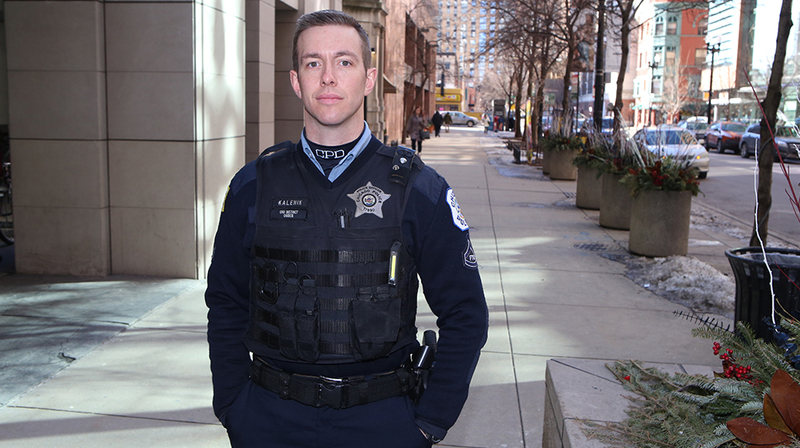 “The clinic has also been a great opportunity to appear in court as a 711-licensed law student under faculty supervision.” He’s also participated in a variety of volunteer programs as a member of the Public Interest Law Society, and honed his writing skills on the Loyola University Chicago International Law Review. 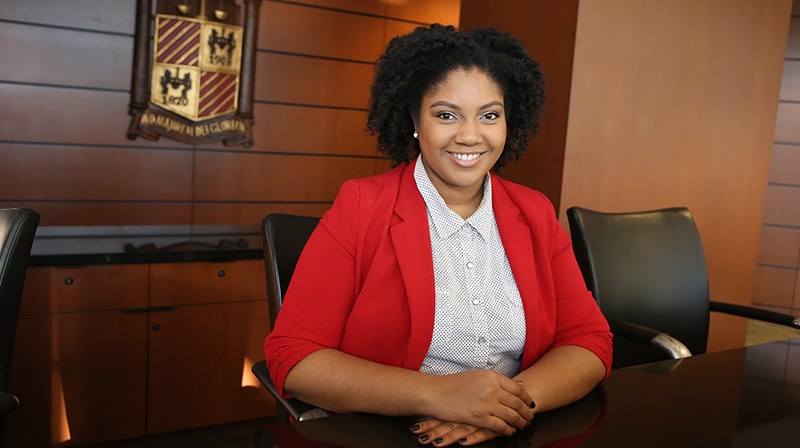 Second-year Loyola law student Amber Carpenter is a Philip H. Corboy Fellow in Trial Advocacy, president of the Black Law Students Association (BLSA), and a member of the Loyola Consumer Law Review. “What I like best about Loyola is the many opportunities it’s given me,” she says. PI LAW/IP LAW: Carpenter’s areas of interest include public interest law and intellectual property law. “A career in public interest law will allow me to continue to fight for justice, and intellectual property combines my interest and background in science with the law,” she says. 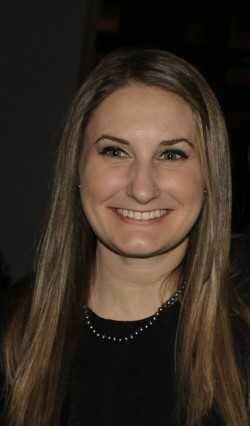 ACHIEVEMENTS IN ADVOCACY: Last fall, Carpenter competed at Georgetown Law’s White Collar Crime Invitational, where her team advanced to semifinals. “Through my Corboy fellowship, I’ve sharpened my public speaking skills, learned the fundamentals of trial advocacy, and benefited from hands-on experience with the Federal Rules of Evidence,” she says. CREATING A NETWORK: Loyola connectedCarpenter with the Diverse Attorney Pipeline Program (DAPP), a nonprofit that supports women of color through law school. “With the help of this program, I was able to secure a summer associate position at Marshall Gerstein LLP, a Chicago IP firm,” Carpenter says. Through her work with BLSA, “I now have a network of black lawyers throughout the country and have strengthened my own leadership skills,” she adds. Pilar Mendez, a 1L at Loyola University Chicago, wants to use the law as a tool to become a better advocate and policymaker. 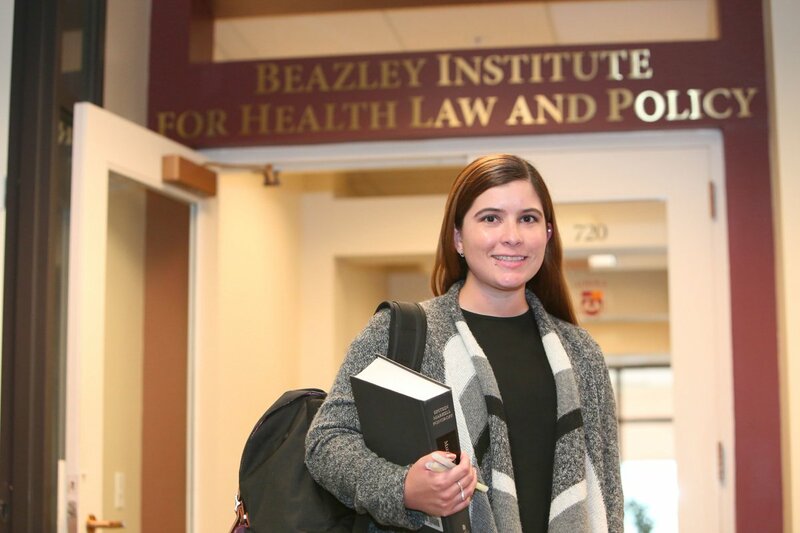 The fact that Loyola’s Beazley Institute for Health Law and Policy was ranked #1 in the country in 2017 by Law Street Media and #6 in the country by U.S. News & World Report helped to solidify Mendez’s decision to attend law school at Loyola. Born in Hawaii and raised in both Honolulu and New York City, Mendez plans to concentrate her area of study on the intersection of health law and public interest law. Drawing upon her personal experiences of public health systems, she hopes to keep pursuing her passion for understanding and eliminating racial and ethnic disparities in health. Mendez decided early on that she wanted to use her education to find opportunities to bridge the health care gap so that everyone who sought medical assistance could receive a positive patient experience. She completed several health care internships during her undergraduate studies and was bitten by the policy bug in Washington, DC, after she began working for the U.S. Department of Human Services Office of Minority Health. There, she was surrounded by people equally committed to finding community-driven solutions that translated research into policy. 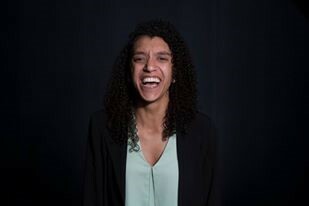 Mendez is the recipient of a competitive health law fellowship with the Beazley Institute, as well as a merit scholarship that she says has been helpful in financing her legal education. While her first-year studies have kept her busy, she participates in activities outside the classroom as a section member of Loyola’s Health Law Society and a BARBRI student representative. 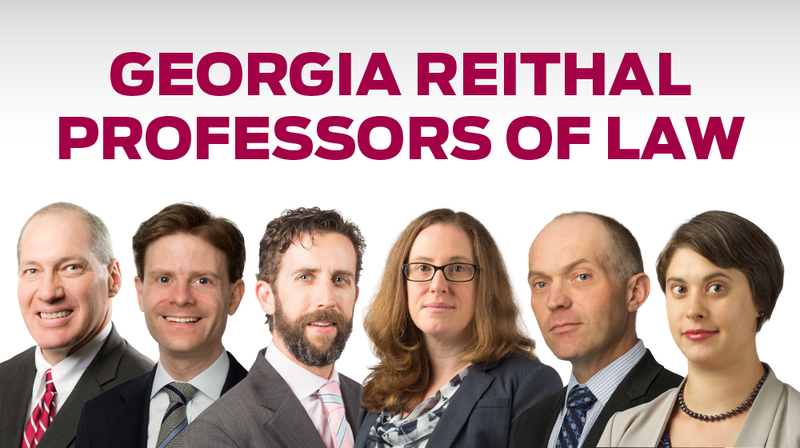 Six distinguished legal scholars who are experts in their fields have been named Georgia Reithal Professors of Law at Loyola University Chicago. 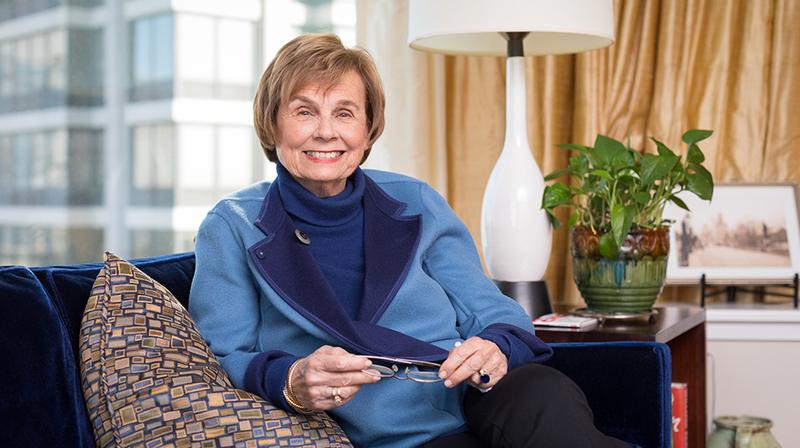 The inaugural professorships were established at the School of Law from a generous bequest left by Illinois attorney and Loyola law alumna Georgia J. Reithal (JD ’78) to support and further develop impactful research and scholarship that promote and enhance access to justice. Reithal attended Loyola’s part-time evening Juris Doctor program and worked for most of her career as a labor attorney with Ameritech. She also participated in pro bono services that provided free legal representation to immigrants. John Breen, JD, focuses his research on jurisprudence, law and religion, and the Catholic social tradition, and perspectives of law and justice. He is currently at work on a book on the history of Catholic legal education in the United States. John Bronsteen, JD, applies the findings of hedonic psychology to civil settlement, criminal punishment, and regulatory decision-making. His articles have been published in top journals across the country, including the philosophy journal Utilitas. Samuel Brunson, JD, writes about theways the federal income tax affects discrete groups of taxpayers, with special focuses on investors and families. In addition, he researches and writes about issues with the administration of the tax law. Jordan Paradise, JD, researches and publishes on the intersection of law, science, and technology. Her primary focus is in the life science realm, examining legal and policy issues in the development and regulation of pharmaceuticals, medical devices and innovations in medicine. Matthew Sag, JD, focuses his research on the intersection of law and technology and law and economics. He is a well-known expert on copyright law whose articles have been cited in Federal Court cases and in briefs to the United States Supreme Court. Nadia Sawicki, MBE, JD, focuses her research on health law and bioethics, with particular emphasis on the accommodation of personal and professional beliefs in a pluralistic society, tort law’s role in protecting patients from physical and dignitary harm, and state actions that interfere with health care providers’ best medical judgment. The faculty scholars will assume the title of Georgia Reithal Professor of Law effective immediately.